Disclosure: I was invited out to Sweet! Candy Shop in Hollywood for a tour of this fun place. All opinions are my own. 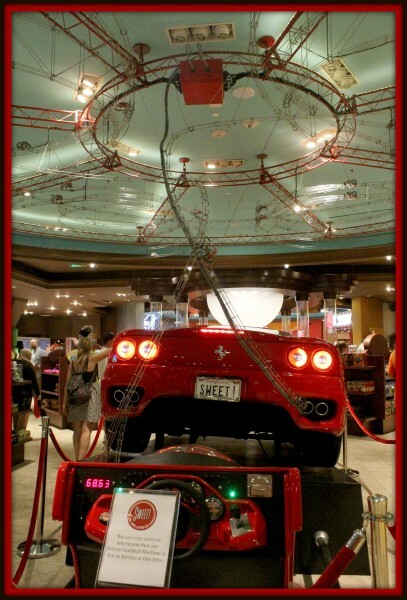 Not only does this gum ball machine hold the World’s Record for Fastest Gumball Machine, but it rolls all around a Corvette. And yes, the corvette is legit, has been used, and sits right in the middle of the store. We’ve dreamed of this for years, oh perhaps, maybe I have. A place where you can create your own candy bar. 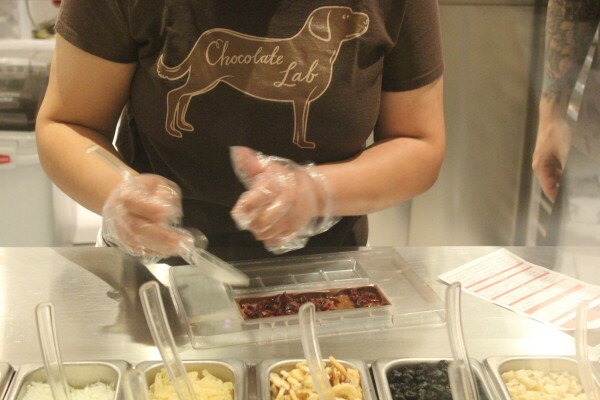 Walk into the Chocolate lab at Sweet Candy Shop and enter your order, hand it over, and they will get to work on creating it. Choose from Milk Chocolate, Dark Chocolate, or White Chocolae, choose your filling then the ingredients to put inside. The candy bar costs 9.50, but completely worth it when you’re building your own. 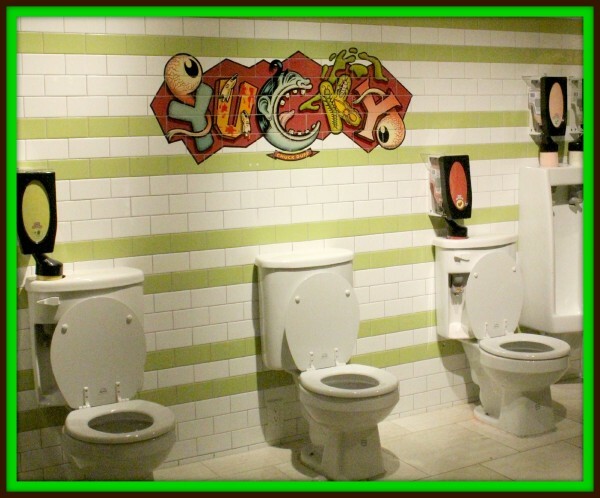 The first thing that will truly catch your eye when you walk into the Yucky Room is all the toilets lined up in the back of the room. And yes, get this, those toilets dispense candy out of them. As you hold down the level, they will make toilet sounds. And then you look around the room and it’s filled with all those “Yucky” things that just make you laugh even with a chance to try Crickets and Worms and More. You know he’s making his come back, right? Sweet! 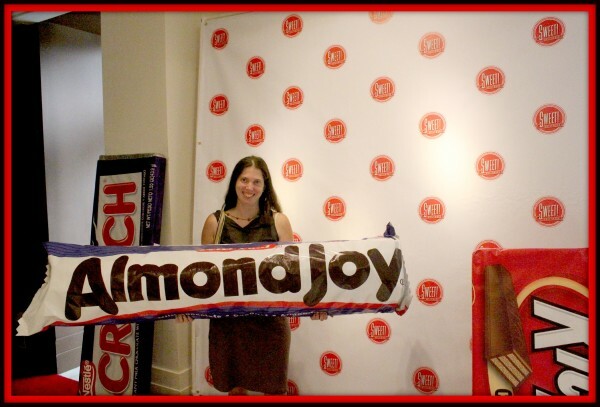 Candy Shop has an opportunity for you to take pictures with life size candy bars. Grab your friends, grab a candy bar and take a fun photo as you tour the store. Watch as they make candy right in front of you. They might even offer you a taste, and nothing’s better than the warm, sticky candy in your mouth. Trust me. Closer inspection you will find that the Sticky candy has words, and designs right in the center. 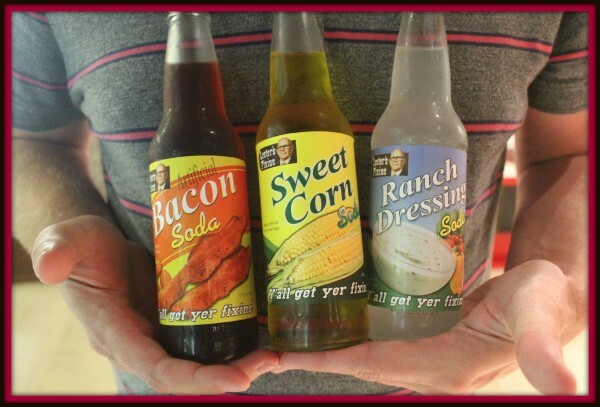 If you have a deep love of trying out different flavored sodas, you will love stopping into Sweet!. They have two fridge fulls where you can try PB and J Soda, Bacon Soda, and more. With Gourmet Chocolates to choose from what’s not to love about this fun filled room? 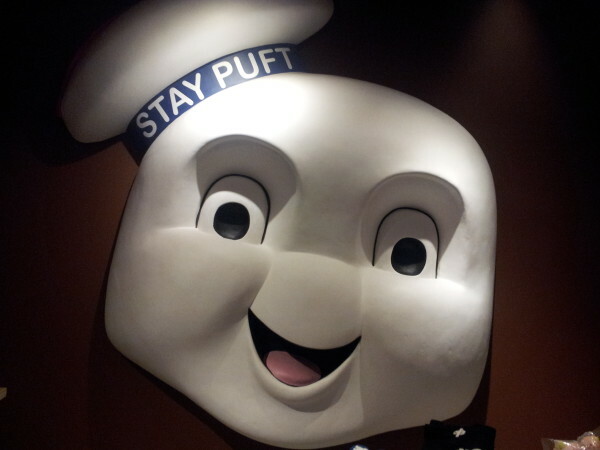 Did somebody say Ghostbusters? With a live prop from the original movie, this is a fun room to check out in the candy shop. Filled with Marshmallow Toasties. PS: Rumor has it that the coconut toasties are the best. 10) Hold a Party here! YES! You can book private parties right at SWEET! Candy Shop. They will work with you to give it the atmosphere you truly want. And that’s just a few of the fun things you can find at this fun candy shop located the Hollywood and Highland center. And yes, you can even purchase fun Hollywood Souvenirs while exploring the store. What a neat place! 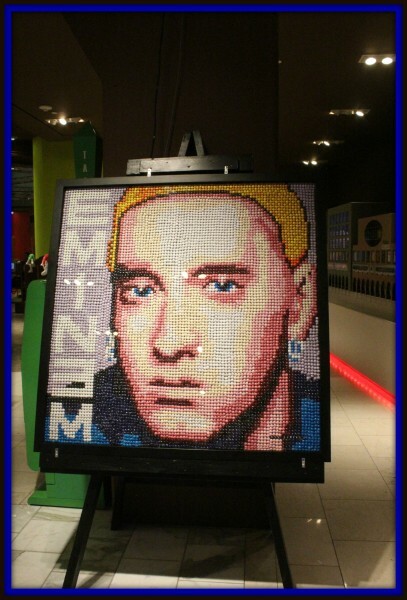 That is incredible how that picture is made completely out of M & M’s. I am adding it to my places to visit! Wow. I will have to visit.